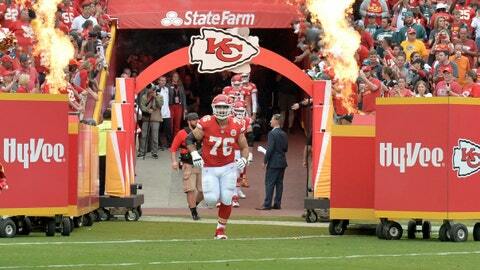 Laurent Duvernay-Tardif is introduced before a Chiefs game last September. KANSAS CITY, Mo. — Chiefs offensive lineman Laurent Duvernay-Tardif can finally put away the medical books for a while and spend all his free time studying his playbook. Duvernay-Tardif graduated from McGill University’s medical school Tuesday. The Chiefs picked Duvernay-Tardif in the sixth round of the 2014 draft, and despite playing at a smaller Canadian school, he quickly earned a starting job. But he never gave up his pursuit of medicine, spending time each offseason doing schoolwork and hospital rotations. Duvernay-Tardif plans to begin his medical career after his playing days are over. He signed a five-year, $41.25 million contract to remain with the Chiefs last offseason.